This small, cozy room offers our most affordable rate. Furnished with one full bed, it is perfect for the solo traveler, but it can also accommodate two people. 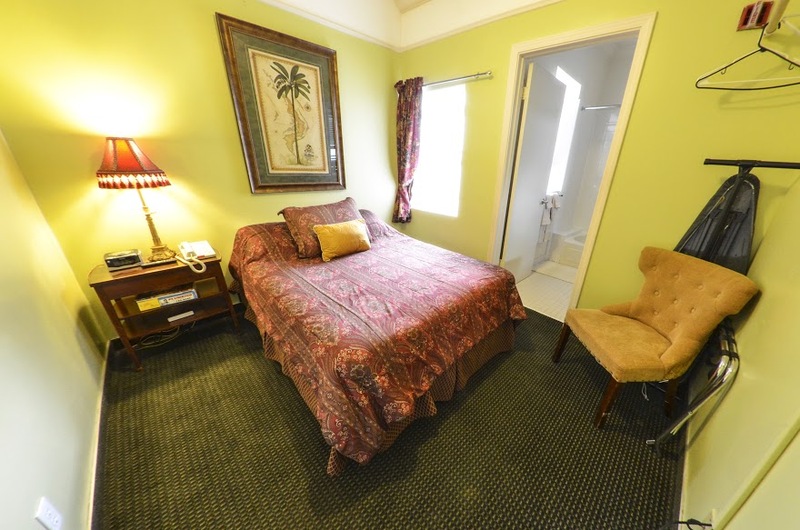 This is an ideal room for those looking to enjoy our amenities while saving money. Our most popular and preferred accommodation, our Queen rooms are well positioned and come with a queen sized bed, coffee machine, refrigerator, and microwave along with other amenities. Located in a quiet spot on the top floor of the building, our Parlour Suite is perfect for families and groups, as it accommodates up to 5 people. Made up of adjacent rooms, our Suite is furnished with one king sized bed, one double bed, and one single bed. This room offers the convenience of our standard amenities, with two double beds to comfortably accommodate up to four guests. Ideally located on the front of the building, these rooms are cozy and enjoy a beautiful light. Spacious and inviting, our King room is located on the top floor of our hotel. The comfortable king size bed will assure you a wonderful night's sleep. Come relax in our cozy lounge area, which includes many comfy chairs and couches as well as a fireplace. Enjoy a complimentary continental breakfast every morning from 7-10am.